Named by Fast Company as one of the “change agents… designers, and dreamers who are creating your future,” Eva Maddox is a Principal of Perkins+Will and founder of Perkins+Will | Eva Maddox Branded Environments. 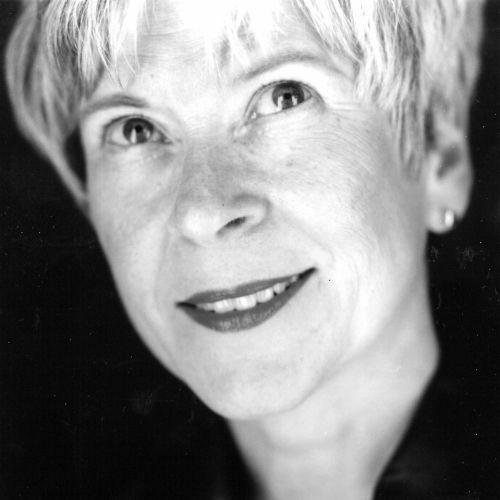 Credited with inventing a discipline that uses research-based design to integrate a client’s DNA into tangible brand expressions, Eva has worked with DuPont, Ogilvy & Mather, Bank of America, Northwestern University, Rehabilitation Institute of Chicago, Intrepid Sea Air & Space Museum and the Museum of Science & Industry. Eva also co-founded Archeworks, a Chicago-based non-for-profit alternative graduate design school whose mission is to address social needs by providing ‘real life’ solutions through design. Projects include a delivery system for AIDS medicine, learning strategies for daycare, restorative environments for Alzheimer’s patients and assistive products for many forms of disability. A recipient of many honors, Eva was selected as a Purpose Prize Fellow, received the International Interior Design Association (IIDA) Pioneer in Design Award and the International Women’s Forum “Women Who Make a Difference” Award, and was named “Chicagoan of the Year” by Chicago magazine. Honored with the IIDA’s Leadership Award of Excellence, she is a member of IIDA’s College of Fellows and the Interior Design Hall of Fame. Eva was recently appointed to the GSA’s Design Excellence Program National Register of Peer Professionals, a group of architecture and design leaders who contribute experience to ensure that federal buildings provide enduring value. Eva earned her BS in Design from the University of Cincinnati’s College of Design, Art, Architecture & Planning, and was recently honored with a Doctorate of Fine Arts by the University of Cincinnati. A member of the University of Cincinnati Foundation Board of Trustees and of DAAP’s Advisory Board for the Study of the Practice of Architecture, she has lectured in India, Bangladesh and Holland, and was one of twelve designers selected to speak at the Doha, Qatar Design Conference, sponsored by the Virginia Commonwealth University School of the Arts in Qatar and Qatar’s Ministry of Civil Service Affairs and Housing.